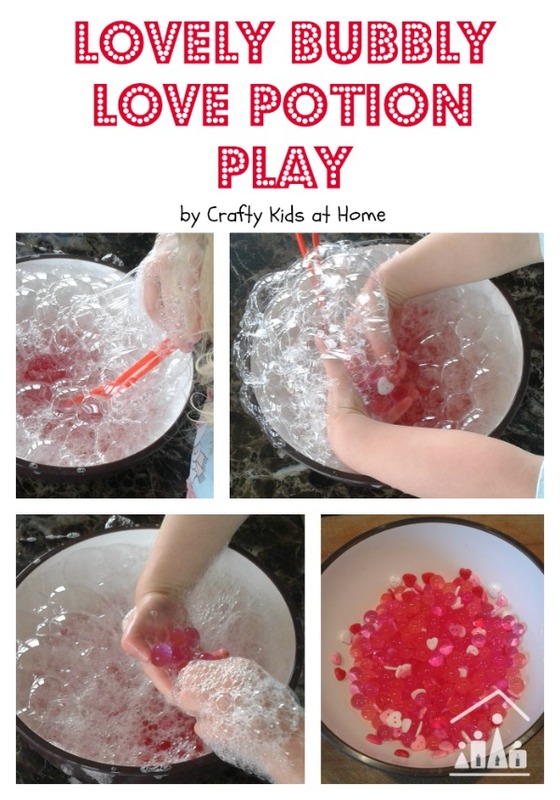 Enjoy some lovely bubbly fun when you mix up our Valentine’s Day Love Potion with your kids. It’s great for a cold or rainy day indoors. Blowing bubbles is our number one boredom buster at home right now. And my daughter especially loves to get her hands (and arms!) completely covered in paint! Do your little ones love to get messy? I tipped all of the ingredients into a large bowl and half filled it with warm water and a squidge of washing up liquid. 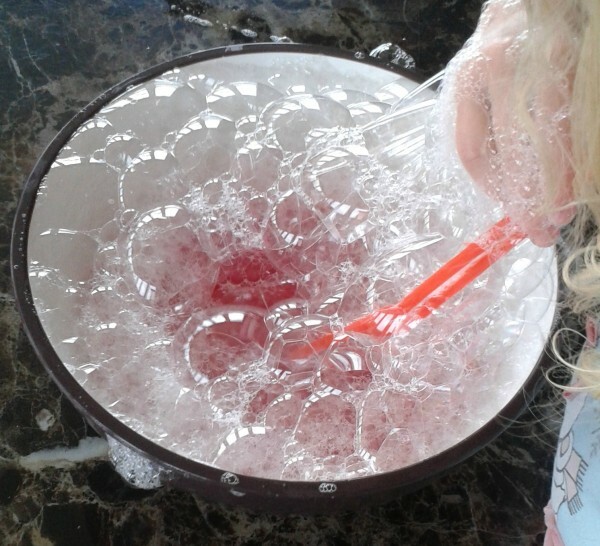 I then brought the bowl over to the table and sat down with my daughter (2) and carefully explained and demonstrated how to blow into the straw to create lots and lots of bubbles. She was fascinated and couldn’t wait to have a go. 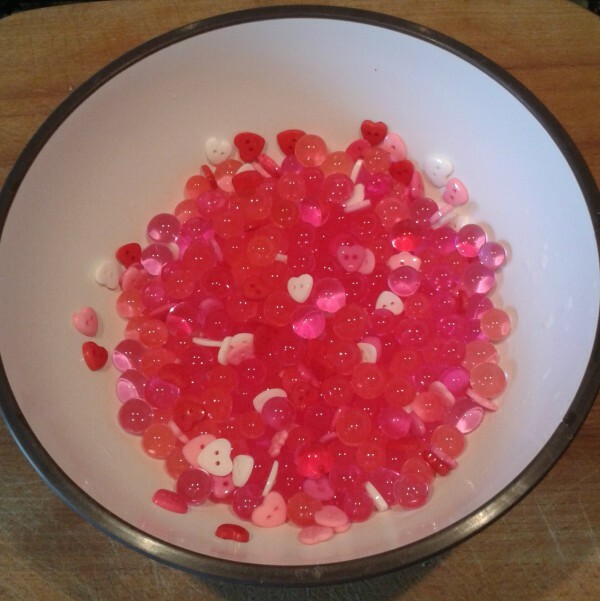 Once the bowl was overflowing with bubbles, Bella plunged her hands in and began to seek out the buttons hidden underneath them. As soon as all of the bubbles had been bashed down, Bella took hold of the straw again and blew some more. There was lots of giggling at this point! Finally when all of the buttons had been removed from the bowl, I asked Bella to sort them into separate piles of each of the individual colours. She was happy to have a go at this with a little encouragement from myself. Allowing your kids to get messy is actually really good for them. Getting hands on with sensory play materials is great for working on their hand eye co-ordination and fine motor skills. Provides an excellent opportunity to work on and practice descriptive words, as you ask your child questions throughout the activity. Excellent for building confidence and self esteem, as they are in charge of leading the direction of the activity themselves. It is worth remembering these points when you are starting to stress about the tidying up afterwards. Have your kids roll up their sleeves and wear an apron to protect their clothes. Put a protective sheet on the floor and on the table top. Don’t start a messy play session if you need to hurry off anywhere straight afterwards or if you are expecting visitors. Always have wipes and kitchen towels within easy reach. Have a bowl of warm soapy water ready to bring to the table at the end of the session, rather than trying to get your child to the sink without leaving their mark on your walls or furniture. Have the kids help to clean up afterwards. 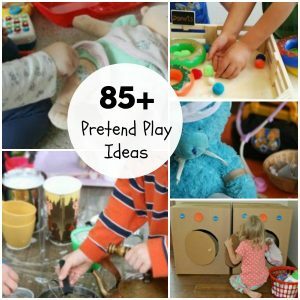 Follow our Instagram feed for lots more sensory play fun ideas to do with your little ones. So many fantastic ideas! We'll be giving your bubbly potion a try next week! My girls love bubbles at the moment.